The Washington Post recently published a provocative infographic about ethical chocolate and what those labels on your chocolate bar might mean. 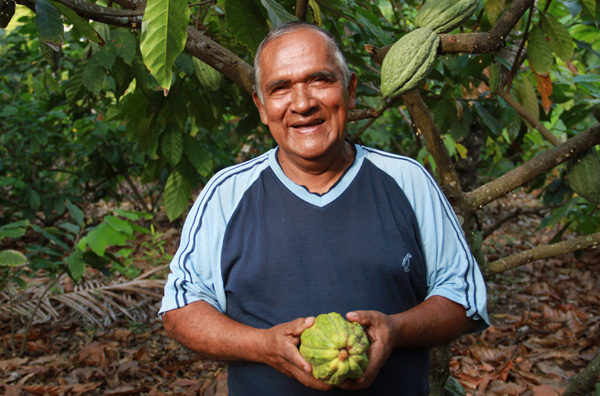 Included were three fair trade labels that originally aimed to empower marginalized farming communities in the most socially and economically disadvantaged parts of the world. Rainforest Alliance, a label with some basic social and environmental criteria, though not fair trade, was also included. 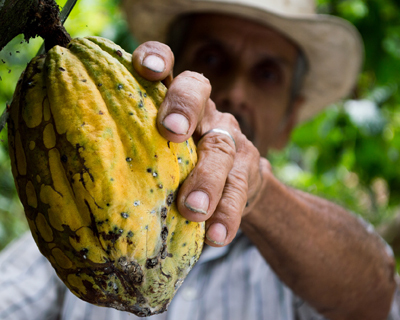 The infographic “Your ethical chocolate might be only 20 percent ‘ethical'” is a great conversation starter, but begs for a deeper discussion of the complexities of supply chains in a multi-ingredient product and the differences in ethical claims. A certification label is one tool to help to start to tell a story about a product. A Fairtrade America or Small Producer Symbol fair trade label on a bag of coffee assures me that a cooperative of small-scale producers benefited from my purchases. But with the proliferation of fair trade and competing claims made by different labels, the complexities of multi-ingredient products, and the dynamic of various companies adopting fair trade for various reasons ranging from ethical commitment to PR opportunities, it is not always that simple. For those reasons, labels should not be the only tool that someone looks at when making purchasing decisions but it is an important first step. But in the long game, we need to do more and better. There are dozens of brands that are committed to long-term, transparent, mutually beneficial relationships with the farmers they partner with. They often use a certification label to help communicate that commitment. But without looking at beyond the label on an individual product, it is difficult to determine whether the brand has that level of commitment or whether they are doing the bare minimum required by a certifier for a small number of products to capture a niche market or gain good PR. Some of the advice we tell consumers and retailers includes looking at the range of products by a brand. Is it only one chocolate bar or all of them that are certified? Are all ingredients certified or one? We also advise consumers and retailers to tap into their whole body of knowledge about a brand. If there is a local or regional brand that you know that invest in communities and causes you care about, that’s important. On the other hand, a brand that is notorious for human rights violations and exploitations in the supply chain should be approached with caution even if one or two products carries a shiny label. Yes, better to buy a Nestle chocolate bar that is fair trade certified than a Nestle chocolate bar that is not. But better still to buy a chocolate bar from Equal Exchange, Alter Eco, Theo Chocolate, Divine, or a handful of others who have made an ethical commitment to all farmers and workers in the supply chain. Is the Equal Trade label on tea meaningful?